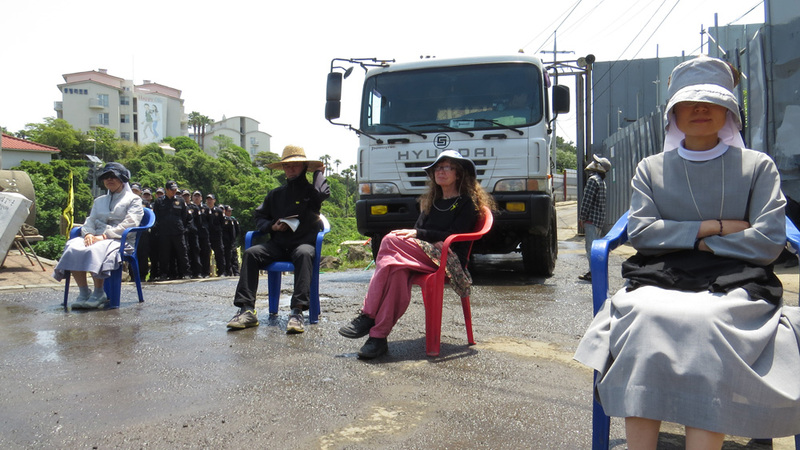 Jeju Island, South Korea – For the past two weeks, I’ve been in the Republic of Korea (ROK), as a guest of peace activists living in Gangjeong Villageon ROK’s Jeju Island. 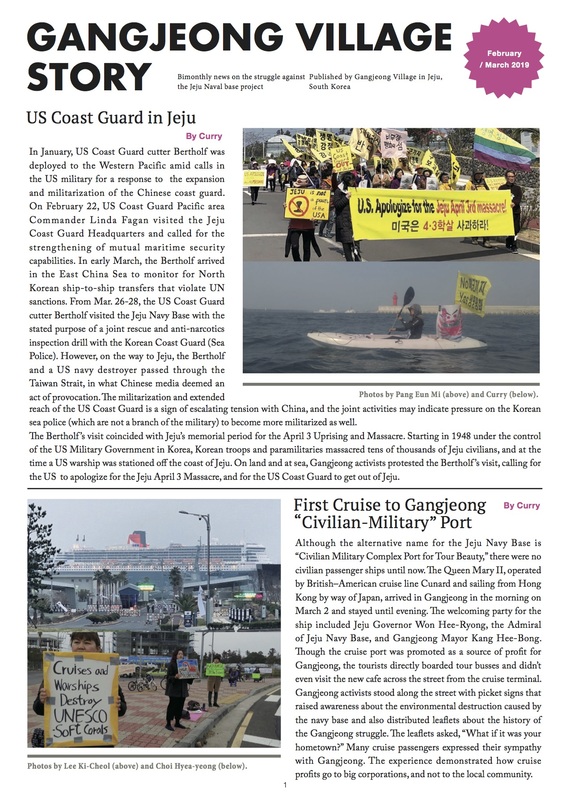 Gangjeong is one of the ROK’s smallest villages, yet activists here, in their struggle against the construction of a massive naval base, have inspired people around the world. Opposing the real crime of the base against such odds, the people here have managed to create all the “props” for a thriving community. The community kitchen serves food free of charge, 24 hours a day. The local peace center is also open most of the day and evening, as well as the Peaceful Cafe. Books abound, for lending, many of them donated by Korean authors who admire the villagers’ determination to resist the base construction. Food, and much wisdom, are available but so much more is needed.